My husband’s parents first opened Highclere Castle to the public in the summer of 1989 and thereafter each July and August. When it came to our turn to take over, Geordie and I decided to open during Easter and the surrounding school holidays as well, hoping for reasonably good weather so that visitors would be able to park on the fields around the Castle. Of course, as some of you may remember, that hope went horribly wrong with the rainfall last Easter but that is another story. Having decided to open earlier in the year, we then had to focus on the gardens in order to create more interest earlier in the year. Of course, we bought daffodil and narcissi bulbs and began planting 1,000 a year which, frankly, went nowhere. Geordie then found a Dutch company with a machine which plants 5,000 in two hours which thrilled the gardeners. In fact, this was such a new excitement that in the first year they poured every bulb they could see into the top of it, leaving none available to grow anyway else or indeed in the greenhouses for inside the Castle, which caused some consternation. The actual date of Easter Sunday is something of a moveable feast. The Anglo-Saxon historian Bede, wrote that “the Sunday following the full Moon which falls on or after the equinox will give the lawful Easter”. This is not totally correct but gives the general gist. The date depends both on the equinox and lunar month and reminds me of our links to the seasons and to the diurnal rhythms which still underpin how our bodies function: links that we increasingly seem to ignore or forget them as we keep on lights and screens and spend less and less time outside. The custom of giving eggs at Easter celebrates new life. For Christians, the egg is a symbol of Jesus’s resurrection – when they are cracked open they relate to the empty tomb and the miracle of life over death. I am not sure I ever wondered why we were hunting them as children but we did look forward to Easter Sunday and all the fun and the chocolate. As a result, I very much wanted to create our own Easter Egg hunt at Highclere – a treasure hunt around the gardens with other entertainments. It has taken place now for 8 or 9 years and has always been in aid of our local children’s hospice, Naomi House. Some 1,000 plus children spend the morning running around looking for clues. 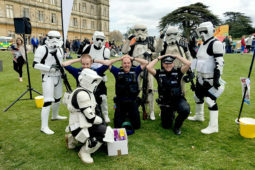 This year we had Disney Princesses who looked a little chilly in our not always hospitable climate and Storm Troopers being arrested by our local policemen. Along with the bouncy castle it was a good day out for the family and at the end everyone got an Easter egg. I am happy the Easter weekend went well. I read the Queen chose Highclere for her birthday celebration, what a tribute to the fine work you and your husband have done to make the estate a lasting monument! Enjoy your spring, and as always, thank you for sharing glimpses of Highclere life! Thank you and we were lucky with the weather!! What generous ideas you have perpetuated over the years to help the needy and causes that are beyond ourselves. As a director of a nonprofit in Texas I applaud your efforts and someday hope to visit Highclere. Blessings to you. I know this is a lot of work for you all. Thank you for making the Easter Celebration a priority…What a lovely spot to bring children to celebrate! It is a real family day out. How fitting that Easter should be celebrated at Highclere. And thank you for making the event inclusive for local causes. 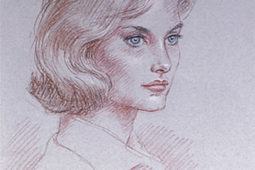 Your heart for giving seems to, in many ways, become the heart of Highclere. May your work on behalf of others continue to blossom like the daffudils. What an amazing day. The flowers are gorgeous. What a wonderful thing to celebrate the holiday with the community and to benefit children. I don’t think a house like Highclere would have a place if it wasn’t part of the community. It looks like another happy fun filled day at Highclere. You always put on a good show, as they say. I’m sorry I don’t know anything about the Naomi House as I live in America. Hospice care world wide is a wonderful support group for the family and people who need it. By looking at the photographs a good time was had by all. 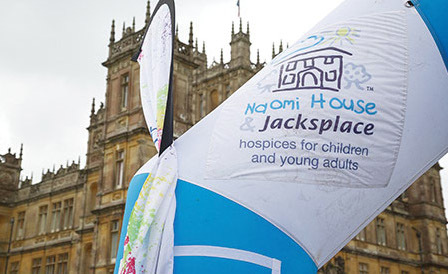 Naomi House are there when most needed in both practical ways and for emotional support. We went to spend the Easter Day there. OMG. Was a beautiful, lovely day. We visit the gardens. The view is outstanding. I cry when we arrived. I feel the atmosphere of Downton. I was a huge fan and for me was something special. Thank you to share your house and your life with normal people. We visit the castle and the wonderful Egipcian Exibition. We had no idea about. It is fabulous. The castle is so amazing, I was felling like if I was in real life of Downton. What an amazing experience. And we saw the Lady (working) in the event and doing pictures with the Star Wars. Lovely beautiful lady, and completely low profile. Congratulations. Now we are watching all the seasons of Downton to find inspiration for Vintage Garden Party 2017. Thank you and we are working on our plans for the September Garden party. I thought we would a dance marquee and all learn to Charleston! We have booked some teachers already! Looks like so much fun! Nothing like the Easter egg hunts I had for my kids! Everybody would have enjoyed your idea of celebrating Easter. Could then require them to go to church on Sunday, and they probably wouldn’t even mind. Thanks for sharing the pics! I had already been to church!!! I have been reading and sharing in your posts since last year and have placed Highclere a must see on my bucket list. I just want to commend you, Lady Carnarvon for nicely and respectfully including the meaning of the Easter Eggs with the true symbolism of the Easter eggs and our celebration of Easter. Sometimes as we go through the motions and busyness, it is easy to forget the true meaning of celebrating the Resurrection! Secondly, I must admit it makes me chuckle to think of the Disney princesses there when I live 10 minutes from Walt Disney World. Love it! Thank you for all your hard work and dedication!!! 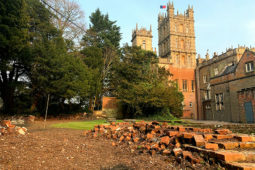 As a Cancer Survivor my biggest Disappointment was that I did not get to have my picture taken with you and the Lord during my visit to Highclere Castle in February 2017. I kept asking and asking on Facebook but I never got a response. But, the Afternoon Tea and Tour were just great. I LOVED your Gift Shop and bought a lot of things. Enjoy your spring, as as always thank you very much for sharing Highclere Castle with us!! Adults having fun on the slide – never gets old!!! Congratulations on a Easter Event for the children. Children are our most valuable legacy at the same time the most vulnerable and forgotten. To have part in fostering warm and safe memories is a noble thing. Lovely story. 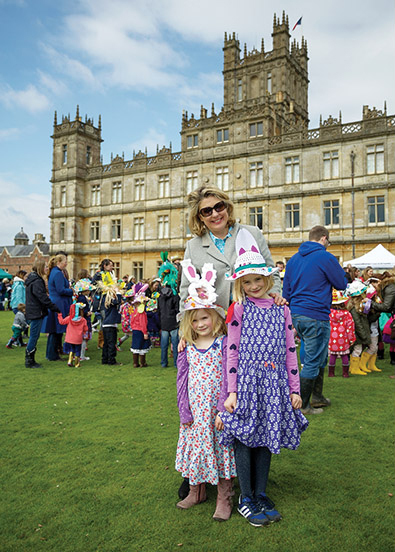 The weather has such an impact on Easter celebrations, and Highclere is no exception! We were scheduled to visit last year, and had to postpone because of the storm. This year proved more tranquil, albeit chilly, and we had a wonderful visit just after Easter Sunday. The gardens were lovely. Thank you to you, and your marvelous staff, for creating a warm and welcoming atmosphere at the Castle. I will never tire of visiting, for I find something new each time. It was a honor to meet you, briefly, in the Cafe, and I hope to return again. Happy Spring! Love that you have put all those bulb in. It must look amazing. I’m coming over in May next year so hopefully the Castle will be open. We will be open at for both bank holidays and we have a week of tours planned with talks as well. Your continual energy and imagination continues to amaze me. Whenever I see those red couches in the library I immediately revert to Donwton Abbey. Love your attention to history. God bless you richly!! Downton Abbey is leaving a long legacy isn’t it? Very nice Easter in this wonderful place. What a joy to see the children at the Easter weekend, and the spring flowers were so beautiful! Your generosity in making life more pleasant for those who attend your lovely occasions at Highclere. Happy Easter! Thank you – do you like the lamb video too??!! Yes! I loved the precious little lambs. I would have to pick one up too for a bit of “mothering!” I am not familiar with the sheep with the two-tone faces. We once had two white sheep, but alas, no lambs! Extra fun! Thank you for directing me to the lambs video! yes loved the lamb video. I would like to delete my earlier comment but I do not know how to do it since I don’t expect a response from you. I VERY much enjoyed my visit to Highclere Castle in February 2017. The Highlight was your GIFT SHOP. The Tea and Tour were very nice. Our Tablemates were very Friendly( though I do not keep in touch with them). I LOVED your Lamb Video. I hope someday you can sell the wool from the Lambs in your GIFT SHOP. I Would KNIT a Scarf for your Charity. Let’s talk about it!! Thanks again for a great visit. Hope to meet you and the Lord Someday. The gift shop is busy and fun – it also smell so nice! Oh my word, a machine that actually plants 5,000 bulbs in two hours! What a back saver! What innovation!! Your grounds appear to be positively lovely, and the grounds keepers are to be commended. We had some lovely plantings in our back yard, but had to make sacrifices this year due to construction. (The price of ‘progress’!) So far, it’s the mess of construction, as we seem to be having a rainy season all over again. But this too shall pass, as I’m sure you well know. Thank you for sharing, and brightening our Spring. Your grounds are always lovely, and it’s wonderful to see children playing on them and enjoying their beauty. It is a good machine but we are also learning how to use it better so bulbs grow more natural and in a less regimented fashion! So glad you had a happy Easter. I read recently that the Queen spent her birthday at Highclere this year. I hope you’ll write a blog post about that! Lady Carnarvon, I very much enjoyed the newborn lamb video. Sad that the extra lambs who are pulled off their mother will not know a warm mother body. Would like to ask you about your white horse shown in Secrets of Highclere. What is her name? Does she have a short back? Do you ride her with s tight reign. She appears to be pulling at the bit. And your other equines? I very much enjoyed the newborn lamb video. Sad that the extra lambs can’t be supported by their mother..Are they allowed to be with their mother st all? I also wanted to inquire about the white horse you are riding on Secrets of Highclere Castle. What is her name? Her breed? She appears to have a short back,. Do you hold a tight rein? She is beautiful. Your other horses? Thank you. video. Sad that the extra lambs will be taken from their mother and bottle fed..Are they allowed to be with their mother at all? How are your horses? In “Secrets of Highclere Castle”, you are riding a white mare, spaniels alongside. What is her nams? She appears to have a short back, pulling at the bit. Do you keep a tight rein? What breed is she, and your other horses?. Does any horse pull a cart?. Thank you. Sorry. My comments disappear, I repost, they stack up so redundantly. My apologies. It was with much delight that we visited your grounds and Castle courtesy of a surprise from my brother. Like you, he is well aware of the lack of culture in my country and always squeezes in a country house visit when we come and stay in the UK. I am part of the South African duo who greeted you and admired the tulips in the bucket you carried! What strikes me, apart from the beauty and massive magnificence of your estate, is the diligence to the attention to detail that you have achieved with each and every corner of your grounds. Yours is an immense and loyal duty to the curatorship of your husband’ s and childrens’ legacy. You manage to cover all aspects of this task exceedingly well! We experienced a memorable and peaceful morning on your estate. Might I add, your scone recipe is award-winning material! Thank you and Our kind regards. Thank you – I have visited south Africa and it has the most extraordinary landscape and culture gleaned perhaps through different means.. The more I do the more I understand, the more I look the more I see! 1. Lady Carnarvon, Happy Mother’s Day to you and your family, Friends and Keepers of the Castle. Enjoy your beautiful weather!! My Parents died 10 years ago so only memories are left. 2. Armed Forces Day ( May 20) to thank the Military for their Service and Sacrifice. I knit scarves for them. I posted 3 pictures of the people who got my scarves. Feel free to see them. 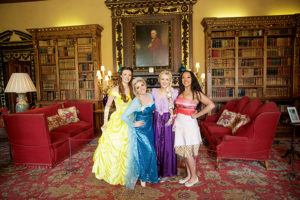 My Knitting Group has always talked about meeting and knitting at Highclere Castle and then donating the items to you. That is why I wanted to know how to get your Sheep’s Yarn. 3. Lastly, Red Nose Day ( May 25) which supports Children and Seniors. Great organization. I have pictures on my Facebook page wearing Red Nose and feel free to take a look. Thank You very much for sharing your life at Highclere Castle with all of us. I was fortunate enough to visit in February 2017 and have autographs and pictures with your staff. Those are my treasured lifetime memories. Thank You again and I hope you let me visit Highclere Castle again. God Bless You and Your family. Hope to hear from you sometime. PPS: The BEST Scarf I bought was from your GIFT Shop. It was the Peacock One. Saving to wear it whenever in my Lifetime I visit the UK. These may not all be days off but II gather you have more public holidays in the USA than we do here? My friend Rebecca and I are writing this letter to tell you that we are going to visit the Highclere Castle on the 4th September 2017. We are very excited at the possibility of being in the same place where Downton Abbey’s famous scenes were filmed, one of our favourite TV series. We come from Spain where the TV series has been very successful too. About our enquiry, the story of your predecessors is fascinating and we hope to learn more details when we get there. We also want to thank you for the careful conservation of the beautiful building and it’s surroundings in the beautiful english countryside so that visitors like us can enjoy it. It would be an absolute pleasure to meet with you in if at all possible, during our visit. Somehow, I didn’t get around to reading this post until now–July 3rd! Anyway, I love your picture of your spring flowers! I love daffodils and narcissi; also tulips and other early flowers. Where I’m now living, those are long gone, and most of the roses are finishing, but I’m looking forward to the flowers that come along later in the season.